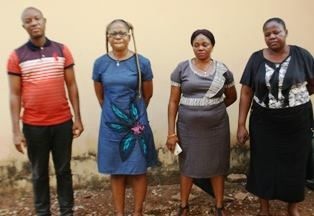 The Enugu Zonal office of the Economic and Financial Crimes Commission, EFCC on Tuesday, March 27, 2018 arraigned four bankers on a twelve count charge of stealing, conversion and obtaining by false pretences to a sum of N129,000,000 (One Hundred and Twenty Nine Million Naira Only). One of the four bankers who were arraigned before Justice Ike Agu of the State High Court, Onitsha, Anambra State were Nwachukwu Placidus, a former Manager of First City Monument Bank Ltd, Onitsha Branch.Three former bankers with Idemili Micro Finance Bank Ltd were Nnewi Ohaegbunam Chinyere, Egbosi Chiemenam and Nkeiru Okeke. Tney were Managing Director, Internal Auditor, Head of Credit and Marketing respectively. The first defendant, Nwachukwu Placidus according to petition recieved by the Commission, diverted funds received from Idemilli Micro Finance Bank meant to be placed as fixed deposit to his personal accounts. Further investigation revealed that given his personal unfavourable involvement in the forex businesses, he diverted most of the monies meant for fixed deposits while claiming they were severally rolled over and had presented forged fixed deposit certificates to cover his tracks. The co- defendants had at several periods and on different capacities as Managing Director, Internal Auditor, Head of Credit and Marketing respectively not only facilitated the said deposits but were found to have all negated official ethics of banking in handling the case by not fully adhering to known banking procedures. Their non- compliance and unresponsive attitude epitomized by non availability of instruments pertaining to the transaction on the fixed deposits was seen by the petitioner as their being complicit in the fraud. All the defendants pleaded not guilty to the charges. The prosecution counsel, Mainforce Adaka, said he was just served at the court premises with motion for bail applications for the accused persons by their counsels. 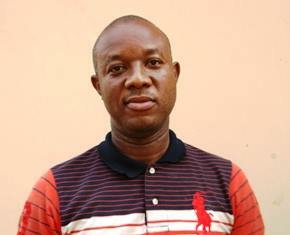 Counsel to the 1st accused, C.L Ndukaihe pleaded that his client be allowed to continue enjoying the bail earlier granted to him by the Federal High Court, Awka on a similar case while trying to perfect the incumbent bail if granted, a request that was rejected by the judge. The Judge having listened to counsel to the other defendants, granted bail on different conditions to them as follows. The first defendant was to produce two sureties and the sum of Two Million Naira (N2,000,000) in like sum with the sureties residing within the jurisdiction of the court. He further directed that they must have landed properties and must deposit two copies of their recent passport photographs alongside that of the defendant. The second, third and fourth defendants were respectively granted bail in the sum of One Million Naira (N1,000,000) and one surety each who must be a civil servant of not less than grade level 14 and who must also reside within the jurisdiction of the court. The case has been adjourned to June 14, July 16, October 15, November 7 and December 6, 201p8 respectively for hearing.